Anyone who’s ever visited Easley knows what a treasure this picturesque town is. Nestled into the base of the scenic Blue Ridge Mountains between Atlanta and Charlotte, this city is the ideal place for a family getaway or an adventurous outdoor vacation. Easley is the perfect embodiment of the small town with a big heart. Don’t let that fool you though; this is far from a sleepy ghost town! Between the countless outdoor activities, farmer’s markets, plays and concerts, and community events, there are just so many things to do in Easley SC. 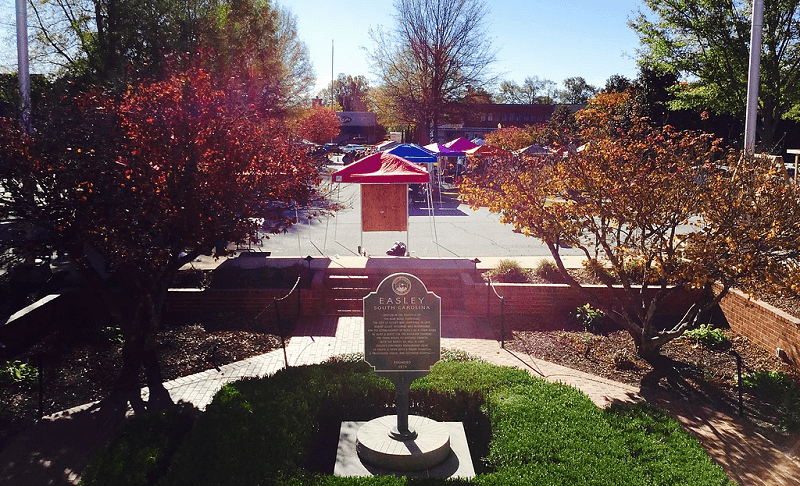 Let’s take a look at some exciting upcoming Easley SC events and activities! It’s not every day that you turn 150 years old! Don’t miss out on one of this year’s most exciting things to do in Easley SC, the county’s 150th anniversary. This sesquicentennial extravaganza celebrates a century and a half of history and culture in Pickens County, highlighting the region’s most memorable old-fashioned traditions while showcasing how the community is moving forward into the future. This free event is being held on Saturday, October 6 at JB “Red” Owens Sports Complex all day between 9 am to 9 pm. Don’t miss out on one of the best Easley SC events featuring live music and entertainment, cook-offs, bake-offs, children’s games, and much more! What’s better than accomplishing one good thing? Accomplishing two good things of course! That’s why you can’t miss one of the best things to do in Easley SC for your body and your soul, and that’s participating in the Pickens County Meals on Wheels 5K Glow Run. 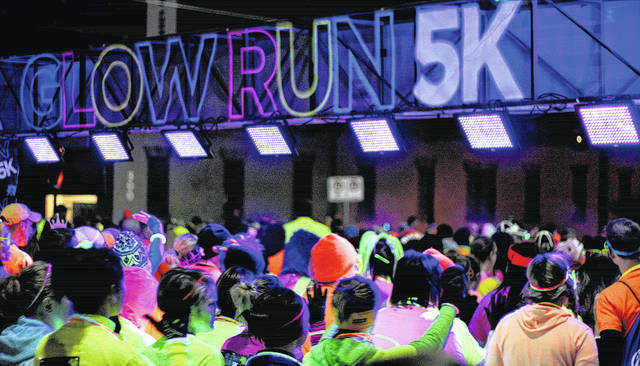 This event supports our local Meals on Wheels organization, and features not only a 5K run, but also a glow attire contest, medals for top finishers, and even a disco party at the finish line! The run is being held on October 13 at 7:30 pm at the McKissick Center just outside of town in Liberty. There is a $27.87 entry fee for the race, but you can rest assured that your money is going toward a great humanitarian cause. When it comes to things to do in Easley SC, our community always tries to have fun while helping one another and lifting each other up when times get tough. That’s why we recommend that you check out this year’s annual Oyster Roast hosted by the Friends of the Pickens County Guardian ad Litem. Enjoy endless oysters, a dinner buffet, craft beer and wines, live music, a silent auction, and more all for a great cause. 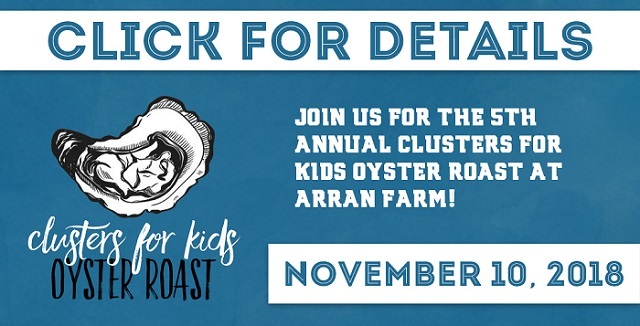 This year’s Oyster Roast will take place Saturday, November 10 at Arran Farms starting at 5 pm. Advance tickets are $50 for individuals, $90 for couples, and $75 each at the door. All proceeds go to providing financial assistance for neglected and abused children in the Pickens County area. You know what they say, it’s the most wonderful time of the year, and we couldn’t agree more! This holiday season if you’re looking for things to do in Easley SC, don’t miss out on the epic Easley Christmas Parade of Lights. Hosted by Hendrick Honda and the Greater Easley Chamber of Commerce, this free parade is the perfect event to take your friends, family, and coworkers to celebrate your holiday spirit and support your local community. The parade starts at 6 pm on Saturday, December 8 in the heart of Downtown Easley. Stick around after the parade too for the City of Easley Grand Illumination Christmas tree lighting ceremony featuring caroling and the official arrival Santa Clause himself! Once you’ve experienced all of these wonderful Easley SC events, if you come home to a broken washer or a refrigerator not cooling afterward, make sure to call the area’s leader in Easly appliance repair service, Greenville Appliance Repair of Easley. Our experience and level of service are unmatched, so make the smart choice and contact Greenville Appliance Repair today.